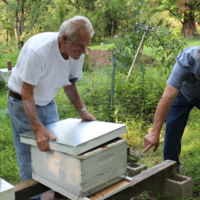 On August 8, 2014, the Raíces Apiculture Initiative took a field trip to S & F Honey Farm in Hillsborough, NJ for a tour, presentation and questions and answer session with beekeeper Stan Wasitowski. 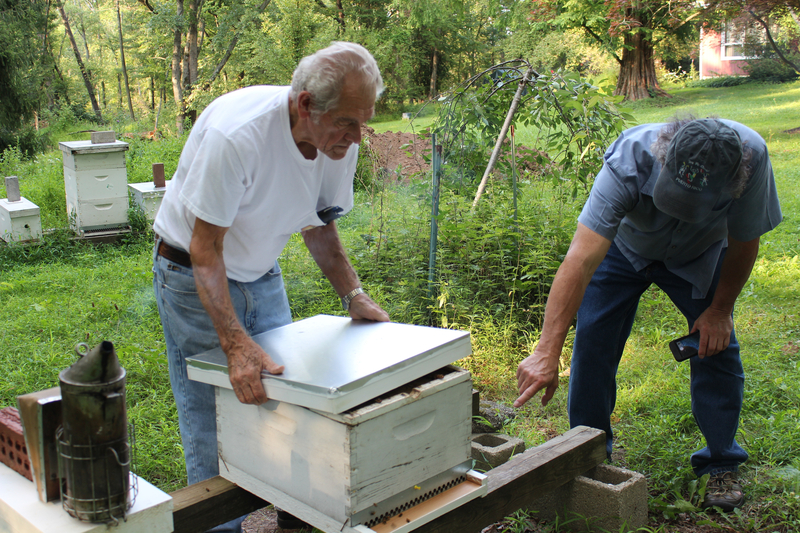 Here, Raíces Co-Director Francisco G. Gómez is asking Stan questions about his bee box. Nicole Wines, “S&F Honey Farm,” Raíces Cultural Center Digital Archive, accessed April 24, 2019, http://www.raicesculturalcenter.org/digital-archive/items/show/322.